Planning is everything in the world of Digital Marketing. Sharpmonkeys will work with you to plan out how to meet your online objectives. We will work with you to identify the key targets for your business. After studying your business and your industry we’ll give specialised advice, tailored to the needs of your business and the requirements of your industry. We have a huge amount of experience working with many different types of companies – from huge corporations looking to improve their digital communication strategy, to sole traders looking to increase their local sales. No matter your business’s size, we’ll help you to take it to the next level. Objectives – what do you want to achieve? Competitors – who are they and how do we beat them? Customers – is your online presence suitable? Tactics – social media, web presence, mobile, apps and online advertising. Are you in control? Analysis – let us interpret your customers’ behaviour online. As well as planning your business’s strategy, we can execute it as well – see what digital marketing services we offer. 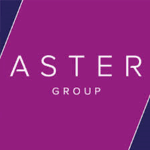 With assets over £1b and a turnover of £145m, Aster is one of the UK's largest housing associations. Thanks to Sharpmonkeys they now have a firm multi-division strategic view on social and digital which is robust, linked to the organisations objectives and highlighted costs and resource considerations. Search engines are now a vital part of many customer journeys. we can help you to reach your audience by getting you higher in search results. Quick, scalable, measurable results. spend as much or as little as want, and target your audience exactly where and when you want to. Social media is the voice of your business - we can help you to communicate clearly with your customer and build a loyal following. Monkeys that live in Central and South America are called “New World monkeys.” Monkeys that live in Africa and Asia are called “Old World monkeys”.